dopl3r.com - Memes - Kgali Molefe @Kgali_M First borns are always the meanest Musa dlakza Because we became parents df children we didnt make. So yeah were very angry. 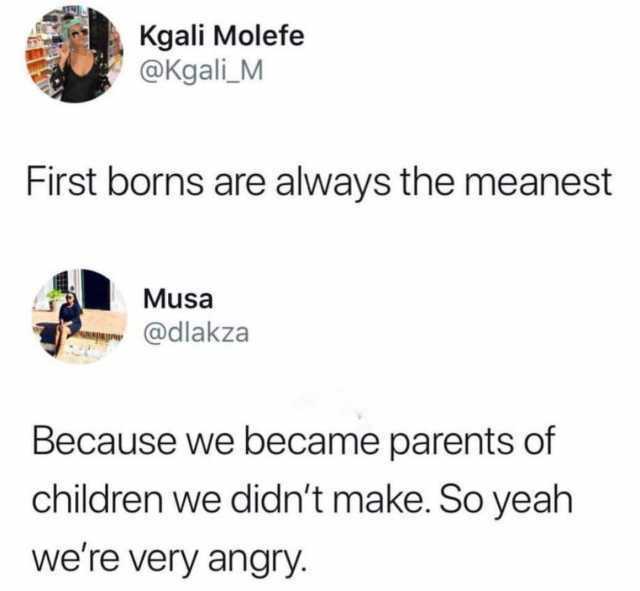 Kgali Molefe @Kgali_M First borns are always the meanest Musa dlakza Because we became parents df children we didnt make. So yeah were very angry.